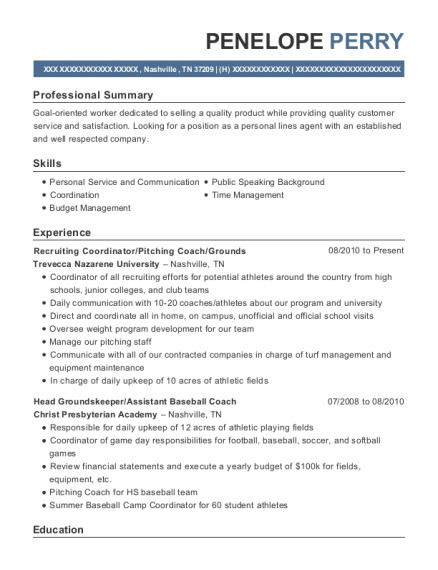 Accomplished and energetic about working indoors or out with a solid history of achievement in many different jobs such as building roads, working on a farm, working for the BLM, and the golf course. Motivated leader with strong organizational and prioritization abilities. Areas of expertise include operating equipment, repairing equipment and decision making. Ran equipment such as tractors, lawn mowers, weed eaters, and carts. Prevented course from flooding by removing beaver dams. Built roads throughout the course. Use hand tools, such as shovels, rakes, machetes, and bush trimmers. Collected information from fallen tree surveys. Ran equipment such as an excavator, bulldozer, drum roller, compactor, dump truck, tractor, and graders. Hauled rock in dump truck. Racked bikes for reach the beach event. Helped coach wrestling for Nestucca Mat Club. Cleaned up Tillamook County Fair. Set up and take down Birding and Blues Festival. First team all league tight end in football. Two time district champion and two time state placer in pole vault. Voted by wrestling team, team captain three years in a row and all around best wrestler twice. Two time district champion and state placer in wrestling. 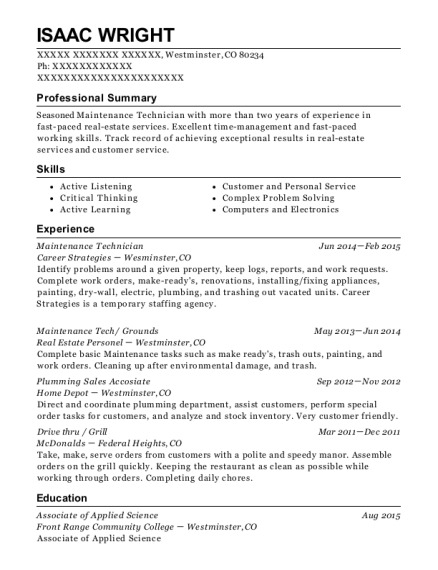 This is a resume for a Neskowin Marsh Golf Course Grounds Keeper in Beaver, Oregon with experience working for such companies as Tom Clark and Hancock Dairy. 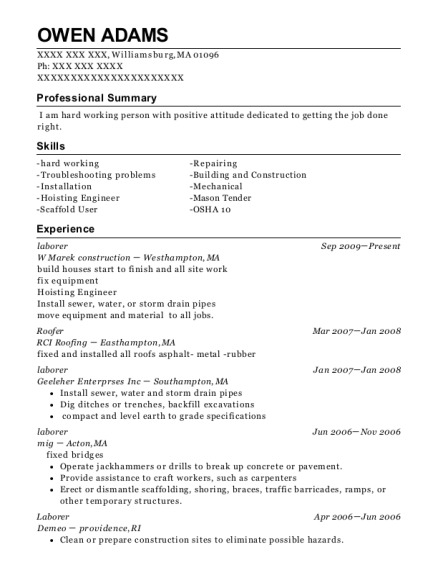 The grade for this resume is 0 and is one of hundreds of Neskowin Marsh Golf Course Grounds Keeper resumes available on our site for free. 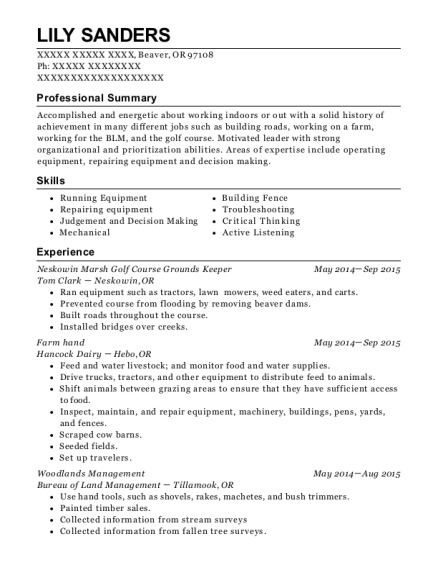 Use these resumes as templates to get help creating the best Neskowin Marsh Golf Course Grounds Keeper resume.